It is an anthology series that depicts the criminal investigations leading to revealing of various hidden secrets of all those involved in the cases, be them the criminals or the people within the law. Where can you stream True Detective? On 2014-01-12 Drama TV Series True Detective first aired on HBO. 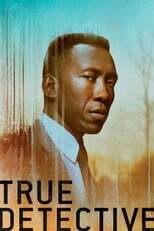 Written and created by Nic Pizzolatto, and produced by Passenger & Anonymous Content, True Detective will return and was last broadcasted on 2019-02-24.